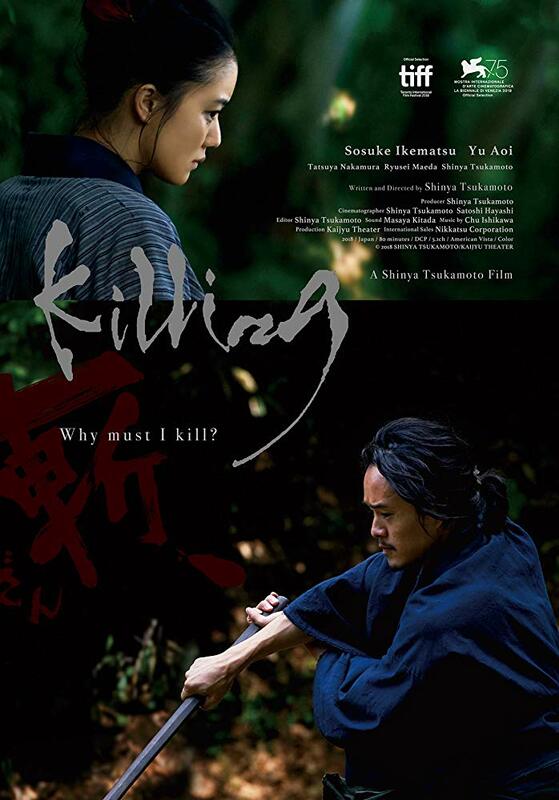 This was a film that I was preparing to put onto next years most anticipated list, so you can only imagine how surprised and pumped I was when I noticed Shinya Tsukamoto's latest film, “Killing”, was screening at the 22nd edition of the Japanese Film Festival here in Melbourne. It actually screened one day before its cinema release in its home country. There was no way that I was going to miss a chance to see this film on the big screen, as this was also the first chance I have had to see a film directed by Tsukamoto on the big screen since his 2002 feature, “A Snake in June” (which I naturally loved). So did I get blown away once again by Tsukamoto's genius? Take a look down below. Set in 19th century Japan, a young ronin (masterless samurai) named Mokunoshin, is helping a group of farmers in the lead up to harvest season. He is an incredibly skilled swordsman, but during this time of peace, the skills he has trained his life for are unneeded and so he spends time working the land with those that need his help. During his time at the farm, Mokunoshin has developed a crush on Yu, one of the farmer's daughters, and during his downtime, he likes to spar and train with Yu's brother, teaching him the way of the sword. While he is content with his life, he feels change (and war) coming and knows that his time on the farm will soon come to an end and he must journey out into the world where his sword will be needed. Almost immediately, another older and more experienced ronin arrives at the farm looking for competent swordsmen who would be willing to head to Edo and fight for the Shogun. He is impressed with Mokunoshin's skills, who agrees to leave with the older samurai. However before they are able to set off on their journey together, an altercation with a group of bandits (and the ramifications from it), alter the trajectory of the pair's future, heading them down a path that will change them forever. Shinya Tsukamoto is firing on all cylinders with “Killing”; I absolutely loved this film and think it is right up there with his best. Thankfully going into seeing the film, I really did not know a whole lot about it, other than it was a samurai film. This immediately springs to mind expectations of the genre of grand battles, violence, swords and blood. “Killing” has all of these things, and yet it is very definitely a Tsukamoto film. The film at its base level, is a very entertaining samurai yarn, but Tsukamoto has so much more he wants to say and does it beautifully and economically to give these points such power. The main theme of the film is just how hard it is to actually kill a human being, and also what it actually does to a person when they do cross that line. The film opens on a very powerful pre-credits scene showcasing the making of the ultimate iconography of the samurai: his sword. It is a brief scene, but feels very raw almost like it represents the base instincts of a human being which is survival. From there we are then witness to an almost playful scene of Mokunoshin sparring with his friend. Immediately it is apparent that this man is brilliant with a sword, possessing all the skills needed to be successful in a fray. However what we do not know at this time, is that he lacks the temperament to commit to taking the life of someone. This is the main crux of the film in that you can have all the skill in the world but if you do not have it in you to kill, that sword is as good as a stick. What is interesting though, is that Mokunoshin is unaware of this fact within himself, or at the very least is trying to look past it. The way Tsukamoto depicts the reality of violence is quite interesting in itself. Early on in the film when we witness Mokunoshin sparring and training, the battle sequences are quite long, full of intricate moves and it is easy to witness everything that is going on. However, when the samurai are confronted with a true life or death battle, Tsukamoto handles the scene completely different. These moments are quick, the camera shakes regularly, and what is happening is often confusing. Here he beautifully depicts the reality of violence and the consequences of it. It all happens very fast, its dirty and bloody, and each swing of someone's sword, could cost an arm or a leg, or a life. There is nothing cool about violence, or the “awesome” move you use to disable an opponent; you cause very real damage to another person, and the effects this has on a person can be just as damaging as the blow itself. It is this battle that changes the whole trajectory of the film and its character's lives. There is a fantastic moment with the two samurai walking up a path and stopping just before a cave. From here Chu Ishikawa's kicks in, and gives the moment a feel like these characters are about to descend into hell, and that description isn't too far off the mark, although it is more of a mental hell than a physical one. From this moment on, the film is a grim affair right up to it's very powerful finale. Before I move on, I must really make mention of Ishikawa's use of music in “Killing”. I loved every second of it and it compliments the film perfectly. While I have liked almost all of Ishikawa's music in Shinya Tsukamoto's films, this one is pretty special. If you are familiar with the pairs work together, you would be aware that this is a bittersweet moment, as sadly Chu Ishikawa passed away last December, so this will be the last of Tsukamoto's films that he will work on. He always added so much to his movies, and will be sorely missed. Tsukamoto has put together a fantastic cast for his latest film. Sosuke Ikematsu plays the baby-faced and naïve ronin, Mokunoshin. Has transformation within the film is stunning, as he goes from quite a happy, almost playful man and turns into a depressed shell of his former self by the end. Ikematsu is also very convincing with sword in hand too. Shinya Tsukamoto himself plays the older and more battle ready samurai, and again is fantastic. He gives his character a strength and power to him. His movements are slight and subtle but have significant meaning. Tsukamoto actually looks quite thin and aged in the film, and yet when in battle or showing strength to his junior, he comes across with intent. Yu Aoi plays Yu, who could be considered the “love interest” of the film, and for mine she is one of the most memorable female characters in a Tsukamoto film yet. While she is mostly an observer to the story unfolding, rather than a participant (with the exception of one ugly scene), her screen time is memorable. It is also interesting to witness the change in her character too, as she is initially filled with a bloodlust but this turns into a pleading to stop the violent insanity when she realises just exactly what it is doing to the man she loves. As I have mentioned repeatedly, I am a huge fan of Shinya Tsukamoto's films. I love the fact that he is truly an independent filmmaker where he functions in a large number of roles from actor, director, producer and writer. You know that the film you are witness to is the complete vision of one man, and while that doesn't always mean that the film will be a success, at least you know that it has not been watered down by suits who have no artistic spirit at all. This freedom Tsukamoto has, ultimately comes at a cost when it comes to his budgets and he often works with less money than I am sure he prefers. However he always uses this perceived negative and turns it into a positive. 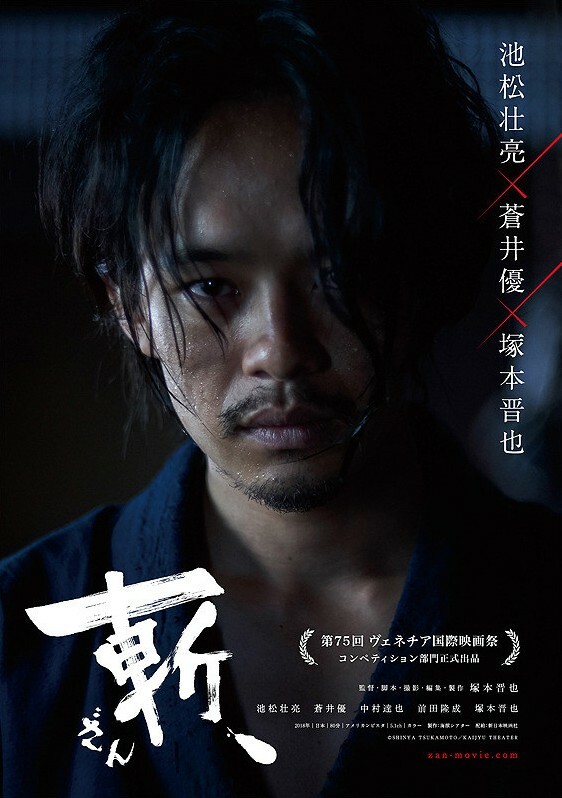 At the start of this review I mentioned that a samurai film brings expectations of large battles, blood and violence, and Tsukamoto is brilliant with “Killing” by appearing to head towards just that before pulling the carpet out from under us and working on a much smaller, but no less powerful, canvas. Instead of the big battles, sword swinging, blood and honour, we get a tale about the effects of violence on both the victim and perpetrator. The damage it can do obviously to a body, but also to the mind of the survivor. It looks at how hard it is to actually kill a man; how bloody and dirty an act it is, even when you have the skills to do so. The cycle of violence is also explored in how violence begets violence, and how ultimately it all ends up being so pointless. The amazing thing about all of this, Tsukamoto is able to tell and expose all of this in only eighty minutes, and it never feels like he is preaching or schooling the audience. It goes without saying that I loved “Killing”. It is a samurai film with great meaning that has been told expertly and economically. While it is an examination of violence, it is also, at times, a very violent and bloody film, but in staying true to the movie's themes, the violence is never glorified. I should make mention that it was an absolute joy to have been able to see the film on the big screen too. It added so much to the experience, with Chu Ishikawa's amazing music pumping through the quality cinema speakers. Personally I think this is one of Shinya Tsukamoto's very best films, and think any fans of this director will get a lot out of “Killing”, and I can not wait to watch it again.